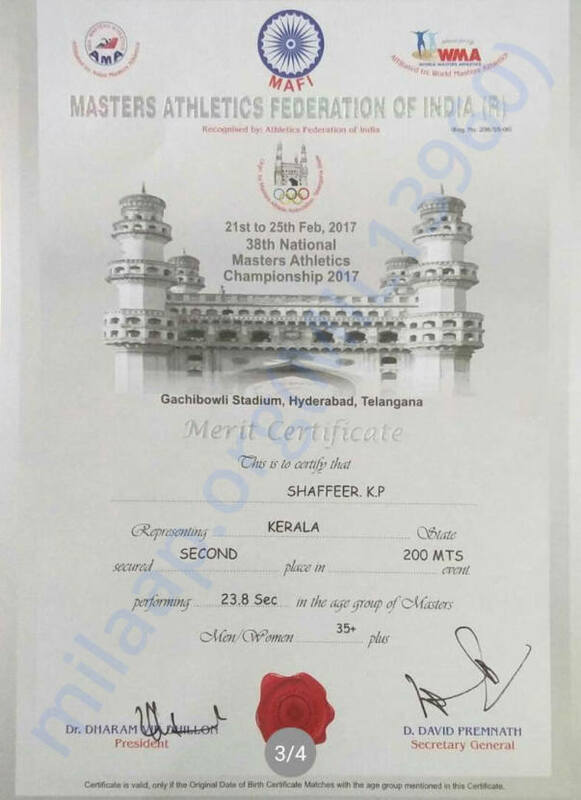 Shaffeer is a gifted athlete who has emerged victorious in various Athletic Meets held in different parts of the country. He hails from Cheruthuruthy in Thrissur District in Kerala, India. 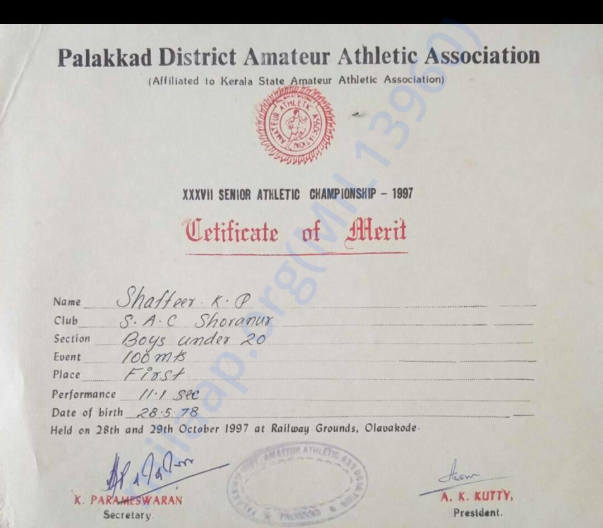 Shaffeer had been a gifted sportsman in his school days, winning prizes at many sports events. 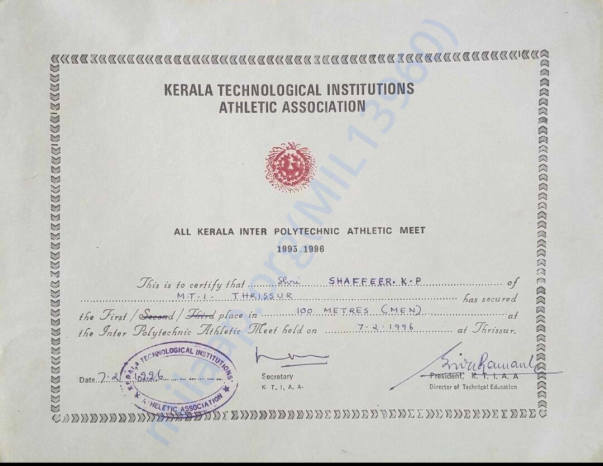 Lack of exposure to good training facilities or guidance during those times resulted in him not taking up sprinting professionally.The untimely demise of his father, the sole source of income, during his college days resulted in his abandoning higher studies to take up a job to take care of his family. 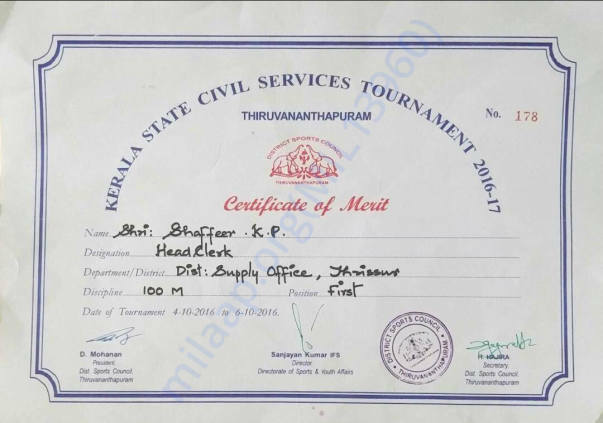 Dedication & hard work have gained him a good job in the Civil Supplies Department under Kerala Govt, But going professional with his sprinting skills failed to materialize. Lately he has dusted off his spikes after a long break & returned to the track. 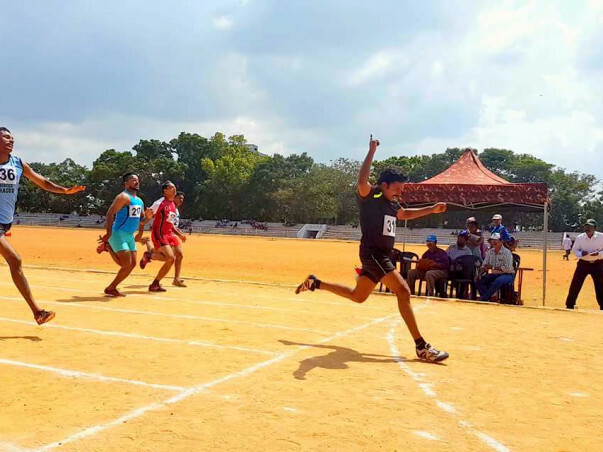 In his first participation in Kerala Masters tournament he bagged medals in both Men's 100m & 200 m events under the category 35+ . 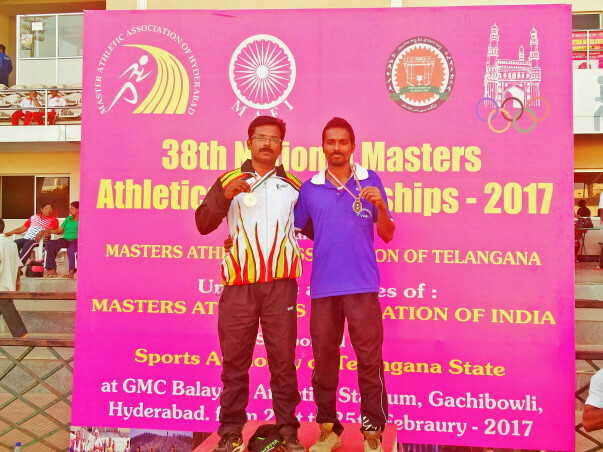 He was part of the 4x100 m Men's relay team which won Gold medal and won silver in 200 m for Kerala State at the 38th National Master's Athletic Championships, held at, Hyderabad, Telangana in February 2017. 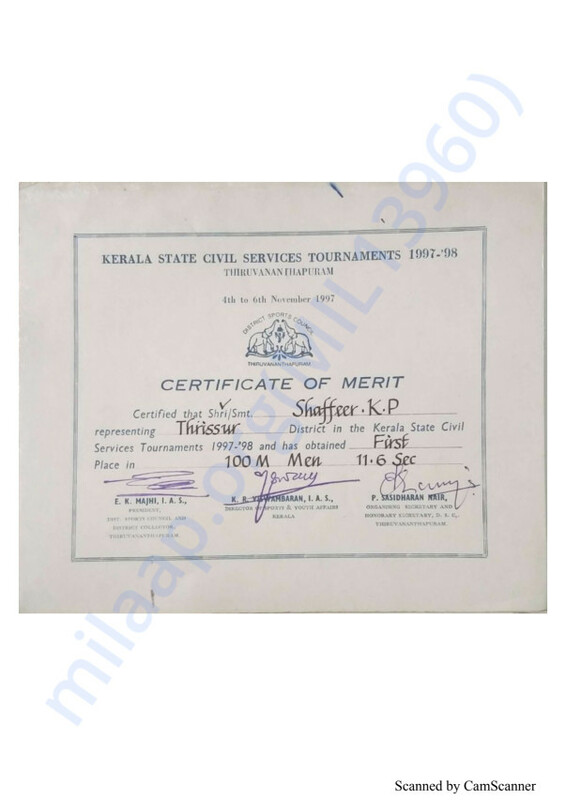 He also won Gold medal in state Civil services Athletic meet and represented Kerala in National Civil Services meet 2017 held at Delhi. 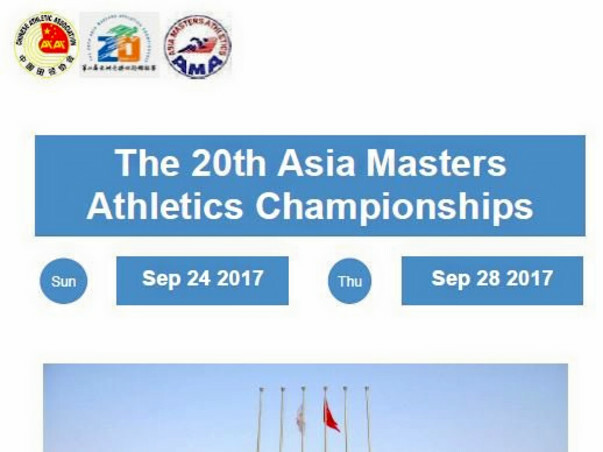 He has qualified for participating in both Men's 100m & 200m events at The 20th Asia Masters Athletics Championships to be held in Jiangsu, China in September 2017. 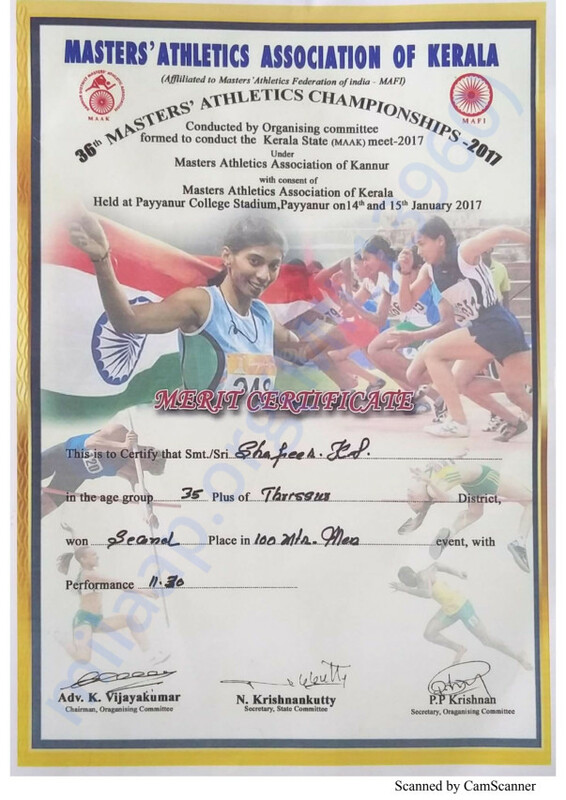 If qualified he wishes to compete for same events at the World Masters Athletic Meet at Malaga, Spain in 2018. We all cheer for athletes once we see them on TV, but do not know much of the struggle they go through to reach there. Shaffeer's time off from work for training will put some strain on him financially as he has to support his mother, wife & 2 school- going children. After work, he travels 60kms to & fro to get to a synthetic track which is on par with the international tracks. This includes weekends too.He undergoes training regularly for these events with full dedication. 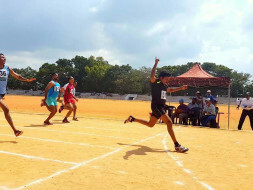 He even takes time off from work forgoing pay to access professional coaching under the supervision of a Coach from NIS at Thrissur, which is around 30 km from his hometown. 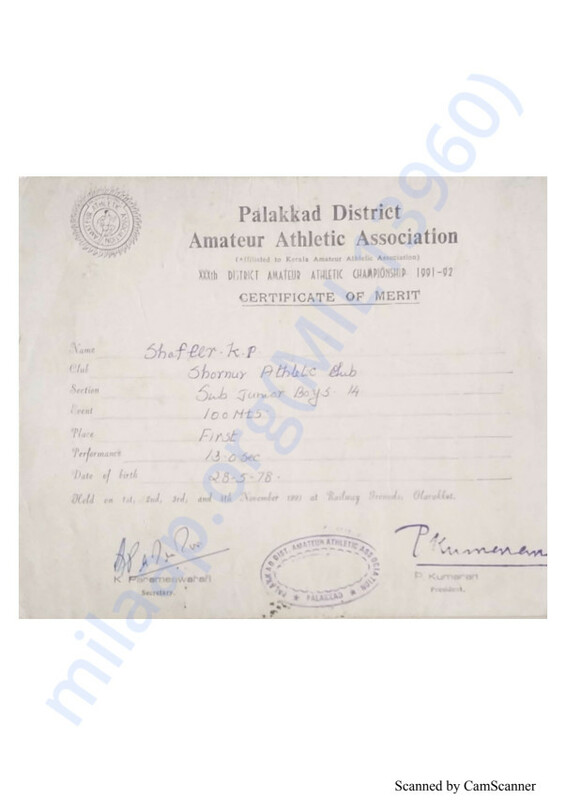 To meet his coaching expenses & travelling expenses to China (& if selected to World Masters 2018) . we (his friends) are running this campaign. 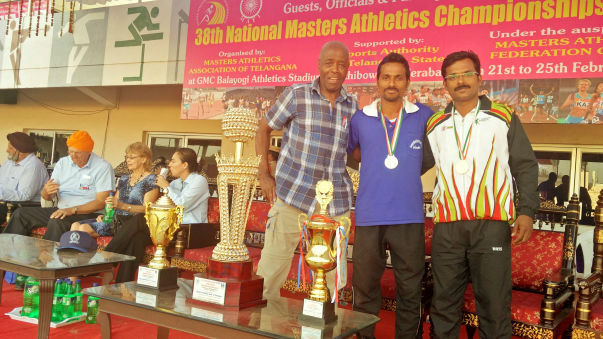 Unlike professional cricket, clubs or leagues, Masters athletic Meets are held to provide opportunities for competing at international level for the sake of the sheer happiness of testing one's potential and to bring laurels for the country. So let us help this outstanding sports personality to reach his international glory & be an inspiration for many others who have not thought of a second chance yet. Shaffeer is gearing up to travel on September 20th for the Asian Meet. 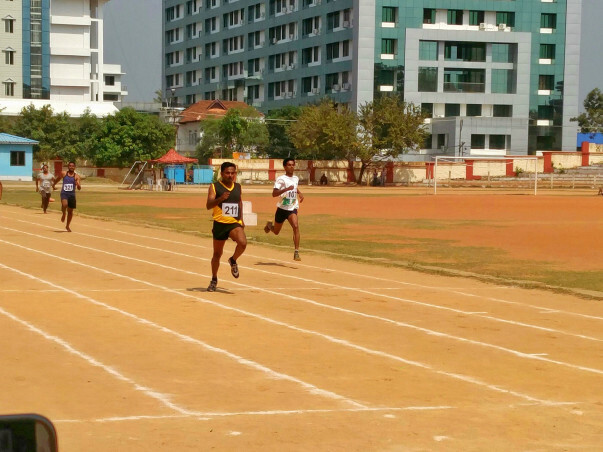 Meanwhile he secured Gold in 200m men's & Silver in 100 m men's (Age 21yrs & above)at the Thrissur District Amateur Athletic Meet Aug'2017. Best wishes to Shafeer !